A fall version of the classic Reese's! 1.) Take two tablespoons of chocolate of choice, melt, and line a silicone muffin liner. Must be silicone so it removes easily. 2.) Place in freezer, chocolate should harden quickly. 3.) Then fill with 1 tablespoon Peanut Butter & Co Cinnamon Raisin Swirl. 4.) 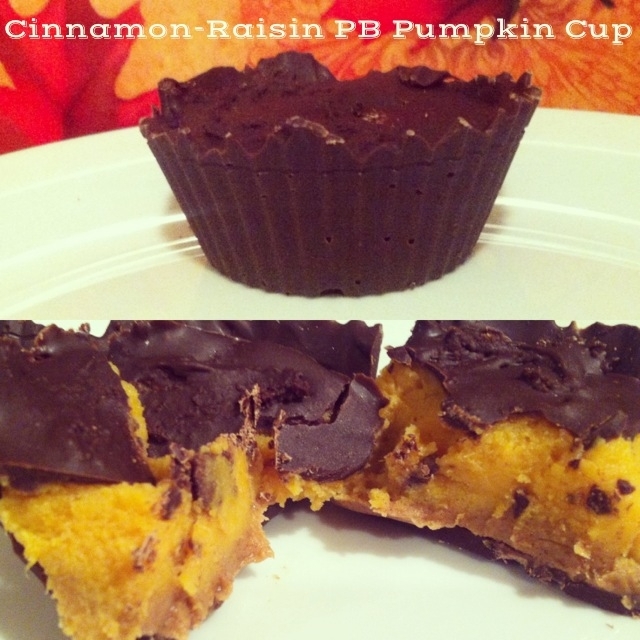 Mix 1/8 cup pumpkin puree and an 1/8 scoop vanilla casein and put on top of peanut butter. 5.) Melt one more tablespoon of chocolate, place on top, and freeze!